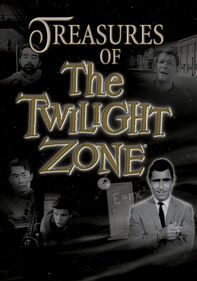 Hosted by creator Rod Serling, this groundbreaking anthology series features aliens, monsters, time travel and other supernatural subjects, adding a tinge of social commentary to many of the tales. 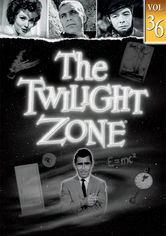 Creator Rod Serling's long-running, Emmy-winning television series brought science fiction to the masses. Viewers enjoyed the twisted, often-humorous mysteries as well as the show's thinly masked social commentary and philosophical discussions. Also features the classic episodes "The Invaders," "Night of the Meek," with Art Carney as a department store Santa and Robert Redford in "Nothing in the Dark." 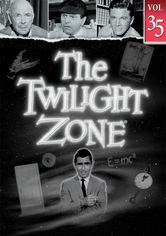 Creator Rod Serling's long-running, Emmy-winning television series brought science fiction to the masses. 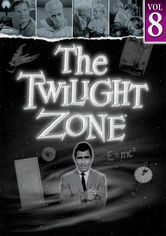 Viewers enjoyed the twisted, often-humorous mysteries as well as the show's thinly masked social commentary and philosophical discussions.Also features the classic episodes "Time Enough at Last," "The Monsters Are Due on Maple Street," "Nightmare at 20,000 Feet" and "The Odyssey of Flight 33." 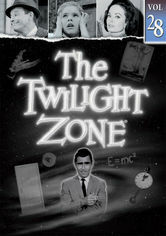 Creator Rod Serling's long-running, Emmy-winning television series brought science fiction to the masses. Viewers enjoyed the twisted, often-humorous mysteries as well as the show's thinly masked social commentary and philosophical discussions.Also features the classic episodes "Steel," "A Game of Pool," "Walking Distance" and "Kick the Can." 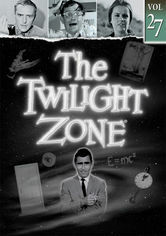 Creator Rod Serling's long-running, Emmy-winning television series brought science fiction to the masses. Viewers enjoyed the twisted, often-humorous mysteries as well as the show's thinly masked social commentary and philosophical discussions. Includes the classic episodes "Mr. Dingle, the Strong," "Two," "A Passage for Trumpet" and "The Four of Us Are Dying." 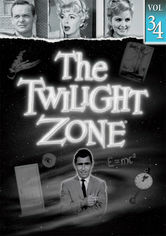 Creator Rod Serling's long-running, Emmy-winning television series brought science fiction to the masses. Viewers enjoyed the twisted, often-humorous mysteries as well as the show's thinly masked social commentary and philosophical discussions. Features the classic episodes "Long Distance Call," "I Sing the Body Electric," "The Lonely" and and "Probe 7 Over & Out." 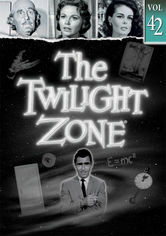 Creator Rod Serling's long-running, Emmy-winning television series brought science fiction to the masses. Viewers enjoyed the twisted, often-humorous mysteries as well as the show's thinly masked social commentary and philosophical discussions. Includes the classic episodes "The Passersby," "The Grave," "Deaths-Head Revisited" and "Last Rites of Jeff Myrtlebank." Creator Rod Serling's long-running, Emmy-winning television series brought science fiction to the masses. Viewers enjoyed the twisted, often-humorous mysteries as well as the show's thinly masked social commentary and philosophical discussions. 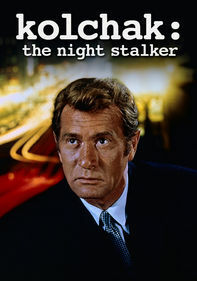 Includes the classic episodes "Perchance to Dream," "Shadow Play," "King Nine Will Not Return" and "The Hitch-hiker." Creator Rod Serling's long-running, Emmy-winning television series brought science fiction to the masses. Viewers enjoyed the twisted, often-humorous mysteries as well as the show's thinly masked social commentary and philosophical discussions. Includes the classic episodes "The Fugitive," "To Serve Man," "Third from the Sun" and "The Shelter." 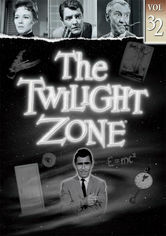 Creator Rod Serling's long-running, Emmy-winning television series brought science fiction to the masses. Viewers enjoyed the twisted, often-humorous mysteries as well as the show's thinly masked social commentary and philosophical discussions. 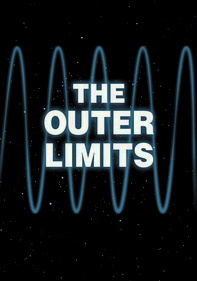 Includes the classic episodes "Nick of Time," "The Prime Mover," "It's a Good Life" and "Mind and Matter." 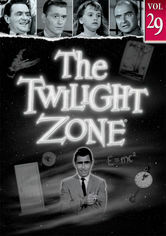 Creator Rod Serling's long-running, Emmy-winning television series brought science fiction to the masses. Viewers enjoyed the twisted, often-humorous mysteries as well as the show's thinly masked social commentary and philosophical discussions. Inclues the classic episodes "The Last Flight," "Once Upon a Time," "A Hundred Yards Over the Rim" and "The Trouble with Templeton." 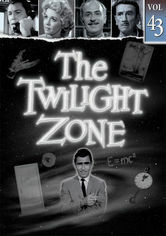 Creator Rod Serling's long-running, Emmy-winning television series brought science fiction to the masses. Viewers enjoyed the twisted, often-humorous mysteries as well as the show's thinly masked social commentary and philosophical discussions. 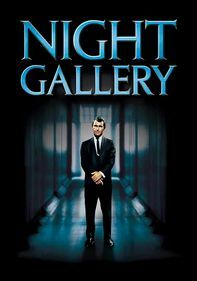 Includes the classic episodes "Judgement Night," "The Purple Testament," "The Obsolete Man" and "A Quality of Mercy." Creator Rod Serling's long-running, Emmy-winning television series brought science fiction to the masses. Viewers enjoyed the twisted, often-humorous mysteries as well as the show's thinly masked social commentary and philosophical discussions. Includes the classic episodes "One for the Angels," "The Man in the Bottle," "The Arrival" and "In Praise of Pip." 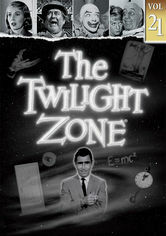 Creator Rod Serling's long-running, Emmy-winning television series brought science fiction to the masses. Viewers enjoyed the twisted, often-humorous mysteries as well as the show's thinly masked social commentary and philosophical discussions. Includes the classic episodes "And When the Sky Was Opened," "In His Image" and "The Last Night of a Jockey." 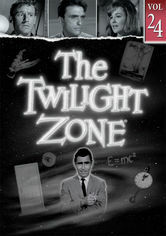 Creator Rod Serling's long-running, Emmy-winning television series brought science fiction to the masses. Viewers enjoyed the twisted, often-humorous mysteries as well as the show's thinly masked social commentary and philosophical discussions. Includes the classic episodes "What You Need," "What's in the Box?," "The Mirror" and "The Old Man in the Cave." 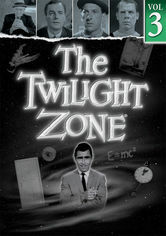 Creator Rod Serling's long-running, Emmy-winning television series brought science fiction to the masses. Viewers enjoyed the twisted, often-humorous mysteries as well as the show's thinly masked social commentary and philosophical discussions. 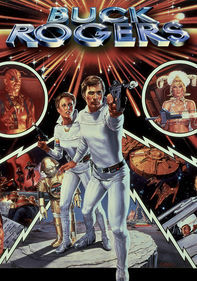 Includes the classic episodes "I Shot an Arrow Into the Air," "Death Ship" and "Still Valley." 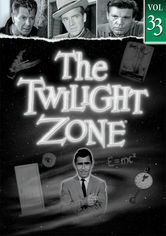 Creator Rod Serling's long-running, Emmy-winning television series brought science fiction to the masses. Viewers enjoyed the twisted, often-humorous mysteries as well as the show's thinly masked social commentary and philosophical discussions. Includes the classic episodes "Elegy," "The Thirty-Fathom Grave" and "A Short Drink from a Certain Fountain." 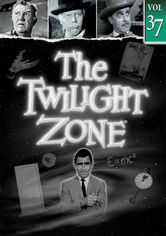 Creator Rod Serling's long-running, Emmy-winning television series brought science fiction to the masses. Viewers enjoyed the twisted, often-humorous mysteries as well as the show's thinly masked social commentary and philosophical discussions. 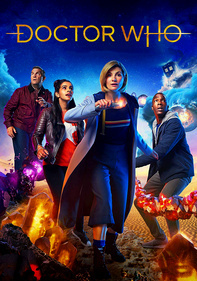 Includes the classic episodes "Mirror Image," "Dust," "Five Characters in Search of an Exit" and "Ninety Years Without Slumbering." 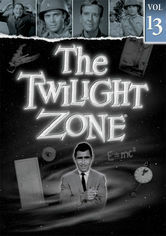 Creator Rod Serling's long-running, Emmy-winning television series brought science fiction to the masses. Viewers enjoyed the twisted, often-humorous mysteries as well as the show's thinly masked social commentary and philosophical discussions. Includes the classic episodes "A World of Difference," "Back There," One More Pallbearer" and "Ring-a-Ding Girl." Creator Rod Serling's long-running, Emmy-winning television series brought science fiction to the masses. Viewers enjoyed the twisted, often-humorous mysteries as well as the show's thinly masked social commentary and philosophical discussions. Includes the classic episodes "Long Live Walter Jameson," "Dead Man's Shoes," "You Drive" and "The Long Morrow." Creator Rod Serling's long-running, Emmy-winning television series brought science fiction to the masses. Viewers enjoyed the twisted, often-humorous mysteries as well as the show's thinly masked social commentary and philosophical discussions. Includes the classic episodes "People Are Alike All Over," "Valley of the Shadow" and "Black Leather Jackets." 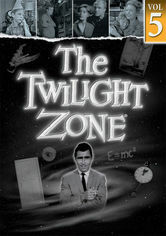 Creator Rod Serling's long-running, Emmy-winning television series brought science fiction to the masses. Viewers enjoyed the twisted, often-humorous mysteries as well as the show's thinly masked social commentary and philosophical discussions. Includes the classic episodes "Execution," "The Hunt," "The Self Improvement of Salvadore Ross" and "Number Twelve Looks Just Like You." 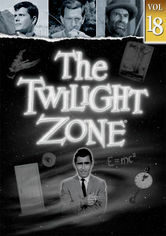 Creator Rod Serling's long-running, Emmy-winning television series brought science fiction to the masses. Viewers enjoyed the twisted, often-humorous mysteries as well as the show's thinly masked social commentary and philosophical discussions. Includes the classic episodes "He's Alive," "From Agnes with Love" and "Spur of the Moment." 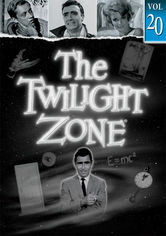 Creator Rod Serling's long-running, Emmy-winning television series brought science fiction to the masses. Viewers enjoyed the twisted, often-humorous mysteries as well as the show's thinly masked social commentary and philosophical discussions. Includes the classic episodes "The Whole Truth," "Mute" and "Queen of the Nile." 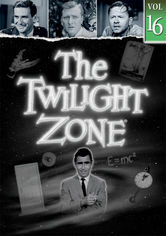 Creator Rod Serling's long-running, Emmy-winning television series brought science fiction to the masses. Viewers enjoyed the twisted, often-humorous mysteries as well as the show's thinly masked social commentary and philosophical discussions. Includes the classic episodes "A Nice Place to Visit," "A Penny for Your Thoughts," "Little Girl Lost" and "I Am the Night -- Color Me Black." 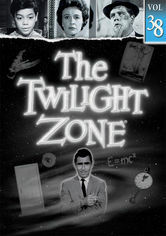 Creator Rod Serling's long-running, Emmy-winning television series brought science fiction to the masses. Viewers enjoyed the twisted, often-humorous mysteries as well as the show's thinly masked social commentary and philosophical discussions. Includes the classic episodes "Nightmare as a Child," "Person or Persons Unkown" and "Printer's Devil." Creator Rod Serling's long-running, Emmy-winning television series brought science fiction to the masses. Viewers enjoyed the twisted, often-humorous mysteries as well as the show's thinly masked social commentary and philosophical discussions. 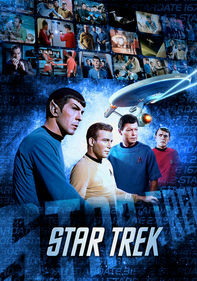 Features the classic episodes "The Little People," "No Time Like the Past" and "The Encounter." 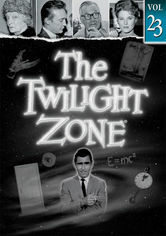 Creator Rod Serling's long-running, Emmy-winning television series brought science fiction to the masses. Viewers enjoyed the twisted, often-humorous mysteries as well as the show's thinly masked social commentary and philosophical discussions. Includes the classic episodes "A Stop at Willoughby," "Twenty-Two" and "I Dream of Genie." 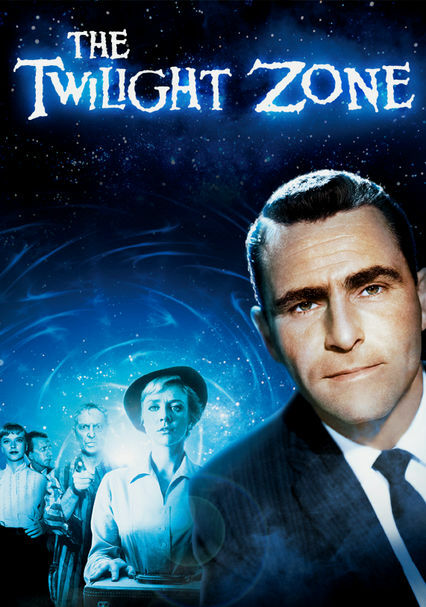 Creator Rod Serling's long-running, Emmy-winning television series brought science fiction to the masses. Viewers enjoyed the twisted, often-humorous mysteries as well as the show's thinly masked social commentary and philosophical discussions. Features the classic episodes "Static," "Four O'Clock" and "The Parallel." Creator Rod Serling's long-running, Emmy-winning television series brought science fiction to the masses. Viewers enjoyed the twisted, often-humorous mysteries as well as the show's thinly masked social commentary and philosophical discussions. Includes the classic episodes "The Chaser," "The Rip Van Winkle Caper" and "The New Exhibit." 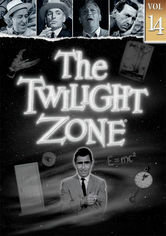 Creator Rod Serling's long-running, Emmy-winning television series brought science fiction to the masses. Viewers enjoyed the twisted, often-humorous mysteries as well as the show's thinly masked social commentary and philosophical discussions. Includes the classic episodes "Hocus-Pocus and Frisby," "Of Late I Think of Cliffordville" and "Mr. Garrity and the Graves." 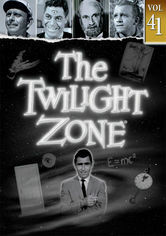 Creator Rod Serling's long-running, Emmy-winning television series brought science fiction to the masses. Viewers enjoyed the twisted, often-humorous mysteries as well as the show's thinly masked social commentary and philosophical discussions. Includes the classic episodes "The Gift," "Young Man's Fancy" and "The Incredible World of Horace Ford." 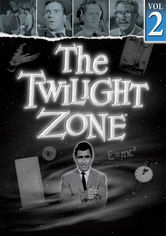 Creator Rod Serling's long-running, Emmy-winning television series brought science fiction to the masses. Viewers enjoyed the twisted, often-humorous mysteries as well as the show's thinly masked social commentary and philosophical discussions. Features the classic episodes "Cavender Is Coming," "Passage on the Lady Anne" and "The Brain Center at Whipple's." 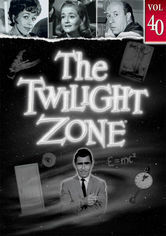 Creator Rod Serling's long-running, Emmy-winning television series brought science fiction to the masses. Viewers enjoyed the twisted, often-humorous mysteries as well as the show's thinly masked social commentary and philosophical discussions. Includes the classic episodes "The Mighty Casey," "Will the Real Martian Please Stand Up?," "The Changing of the Guard" and "Come Wander with Me." 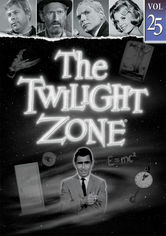 Creator Rod Serling's long-running, Emmy-winning television series brought science fiction to the masses. Viewers enjoyed the twisted, often-humorous mysteries as well as the show's thinly masked social commentary and philosophical discussions. Includes the classic episodes "The Bard," "The Fear" and "The Bewitchin' Pool." 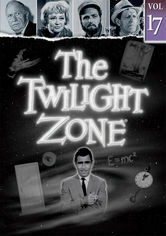 Creator Rod Serling's long-running, Emmy-winning television series brought science fiction to the masses. Viewers enjoyed the twisted, often-humorous mysteries as well as the show's thinly masked social commentary and philosophical discussions.Includes the classic episodes "Where Is Everybody?," "The Eye of the Beholder," "A World of His Own" and "A Thing About Machines."